Estonia is arguably "the hottest European piano on the planet." Immaculately crafted, Estonia pianos have a history dating back to 1893, yet the Estonia piano had been an almost unknown member of the piano industry until about 1999/2000 when Estonia, a tiny country just across the Baltic Sea from Finland, gained its independence after the break-up of the Soviet Union. After Estonia gained its freedom, the country's nationalized piano company was privatized in 1994 under the ownership of its managers and employees. At that time, Dr. Indrek Laul, an Estonian and renowned pianist was a PhD candidate in piano performance at the Julliard School of Music. He began buying shares of the company until he took control in 2001. After Estonia gained its freedom, the country’s nationalized piano company was privatized in 1994 under the ownership of its managers and employees. At that time, Dr. Indrek Laul, an Estonian and renowned pianist was a PhD candidate in piano performance at the Julliard School of Music. He began buying shares of the company until he took control in 2001. After gaining control, Dr. Laul substantially improved the design of the piano by changing over 300 individual elements, upgraded its components, and revamped the factory's operations. He also brought his family into the business, including his father Venno Laul who is also a professional musician and worked with the Estonian National Choir. 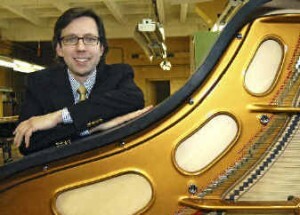 Today, Dr. Laul runs the Estonia Piano from New York, United States where he serves as the direct distributor from the factory. His father runs quality control at the factory in Estonia's capital city, Tallinn. In short, the Laul family has transformed Estonia into one of the piano industry's greatest success stories by keeping production limited to under 400 grand pianos a year (no uprights) and focusing on a high level of quality. 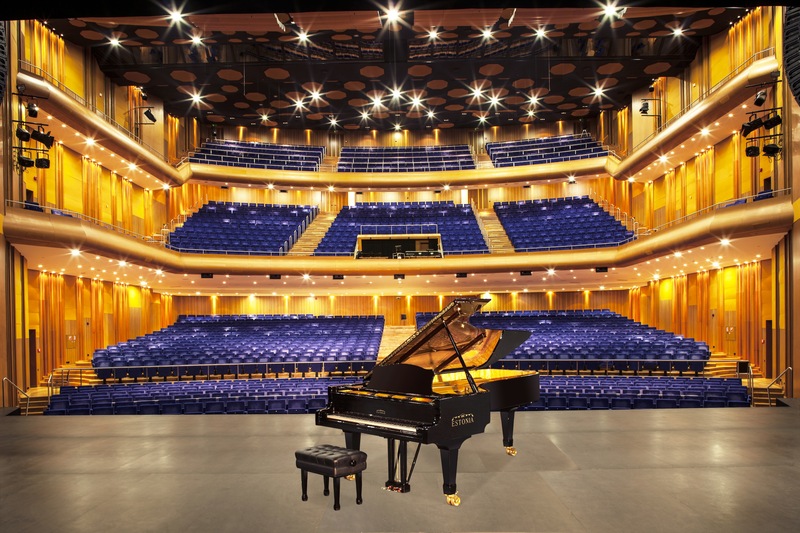 While Estonia has made more 9' concert grands than any other piano maker in Europe, its strength is in its Models 168,190, 210, 225, which are 5'6" and 6'3", 6'10" and 7'4" respectively. Estonia's quality control is becoming legendary. Each piano has a quality control certificate signed by a member of the Laul family that testifies that a member of the family has inspected and played the piano. To show their customer concern, when the factory's employees go on vacation every summer, the Laul family remains behind and answer all customer service inquiries themselves. People making routine inquiries receive direct emails from either Dr. Laul or his father. IS ESTONIA THE HOTTEST EUROPEAN PERFORMANCE PIANO ON THE PLANET? The word is now out about the Laul family's amazing attention to detail and the almost total redesign of the Estonia piano into one of the best in the world. Luminaries from Van Cliburn to Ray Charles have waxed poetic about the Estonia pianos. Over the last several years there have been more than 200 newspapers nationwide reporting on the Estonia, along with an article in Forbes magazine, and recommendations from countless teachers and technicians who have fallen in love with its rich, warm, amazingly clear, romantic tone. But don't take our word for it. Come in and play our remarkable Los Angeles Estonia piano selection to see what the buzz is all about. 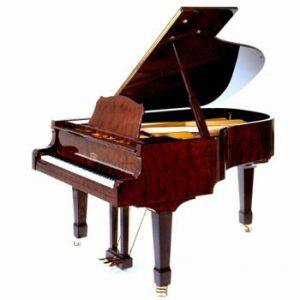 Hollywood Piano is the longest standing Estonia dealer in the USA and Los Angeles having started with them in the mid 1990s. Our Estonia piano preparation is the reason for our success and what sets us apart from other companies selling Estonia pianos. 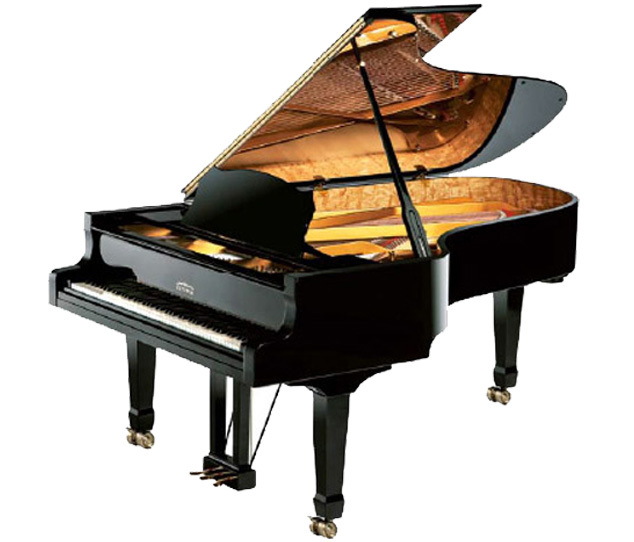 What many non-piano aficionados don't realize is how vastly different the same model piano can be from shop to shop based on the degree of prep the pianos gets and the skill level of the preparer. ALL HAND BUILT PIANOS NEED GOOOD PREP. Our staff of true piano wizards prepares pianos for the major orchestras, venues, motions picture companies and artists thought the area. These same highly skilled technicians, some of whom world renowned, carefully and thoughtfully prepare our Estonias and also go to the homes of our customers for the initial home tuning and "Home Performance Guarantee". 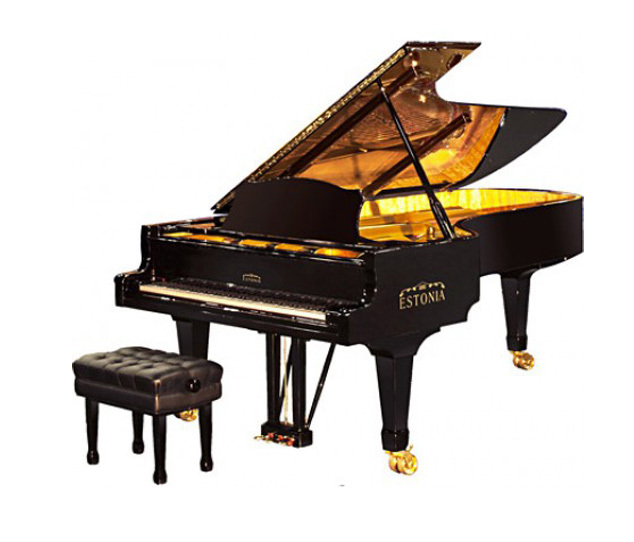 Among the famous customers in the Los Angeles area who've gotten their Estonia piano from us includes boxer Oscar DelaHoya and comedian Jay Leno. Our Estonia concert grands have graced the stage at Disney Hall, Pasadena Civic Auditorium, Ambassador Auditorium, and played with the California Philharmonic, Pasadena Symphony, Pasadena Pops, among many other. 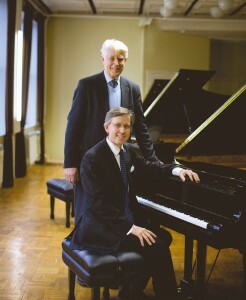 Our Estonia pianos have been featured on a number of recordings. 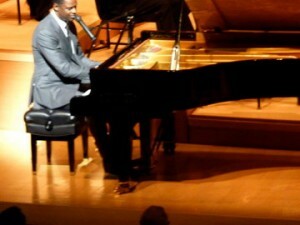 Estonia piano was chosen by Quincy Jones for Emily Bear's debut album Diversity Diversity and by Betty Buckley for her album "Ah Men" Ah Men! . 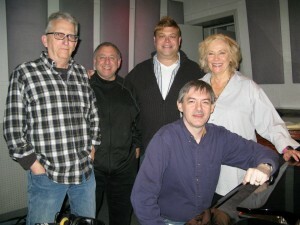 Below from left to right is Brain McKnight at Disney Hall, Betty Buckley and band, Jay Leno, & Emily Bear all at Estonia pianos provided by us. 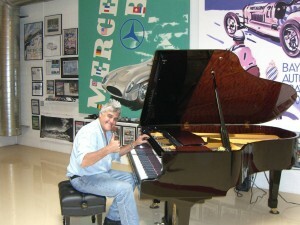 We buy our Estonia pianos directly from Dr. Laul, which cuts out the middleman found in other European pianos. 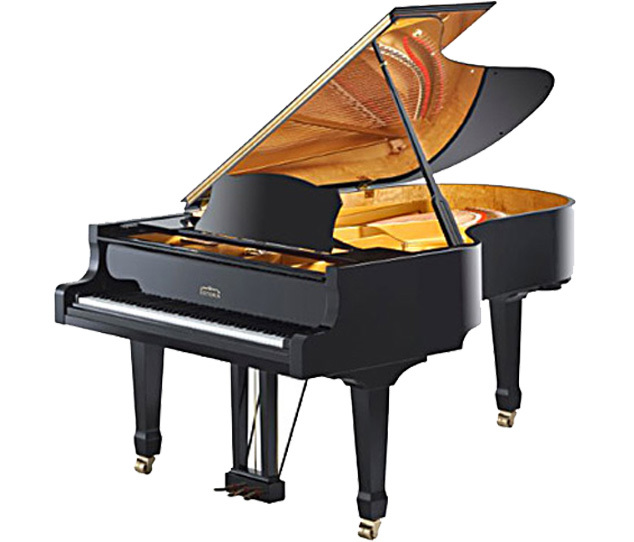 Buying direct from the owner of the company without a middleman or distribution company allows these fine pianos to be sold on the market at unbelievably low prices in relationship to their quality. 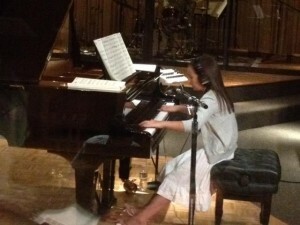 That is why we call the Estonia "the hottest European performance piano on the planet.". Estonia has lower labor rates than the rest of Europe - Estonia pianos are priced closer to mass-produced Japanese pianos from Yamaha or Kawai than to the hand-crafted, high quality, performance-grade European and American pianos with whom they directly compete. Estonia pianos have a rich warm tone - When you hear an Estonia piano you'll appreciate the deep warm full rich tone of the piano produced by the unique massive Baltic hardwood rim. This rim produces the unmistakable Estonia singing sound. The Estonia factory custom shop will match any finish and use any veneer. If you have a particular color/finish in mind the factory can make it for you. It usually will take 180 days to get once the finish is signed off on. You need only give us a sample we'll send to the factory. They send back a finished sample from your request. Once approved by you they will custom make it as per your order. Prices will vary based on size, finish, veneer, etc. Veneer supplier. 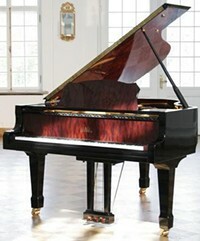 Read what famous musicians are saying about the Estonia piano. 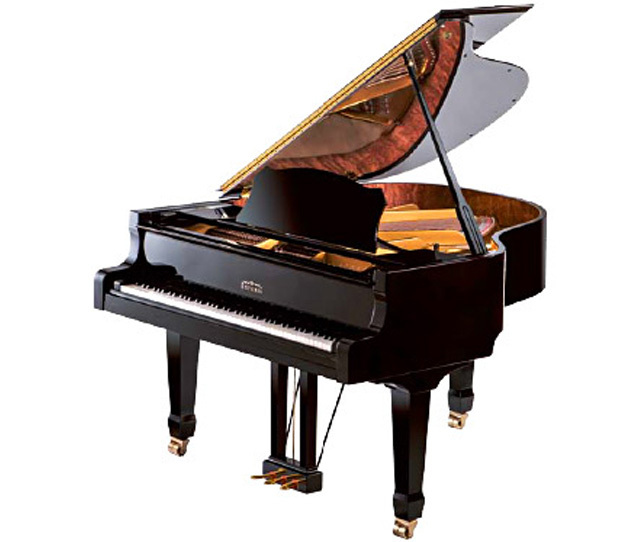 The Estonia Model 168 (5’6) is perfect piano for living and music rooms, apartments and studios. Our Model 190 is the ideal choice for living and music rooms, teaching and recording studios, and chamber halls. Our Model 210 is an ideal choice for living and music rooms, teaching and recording studios, concert and chamber halls, churches and opera halls. 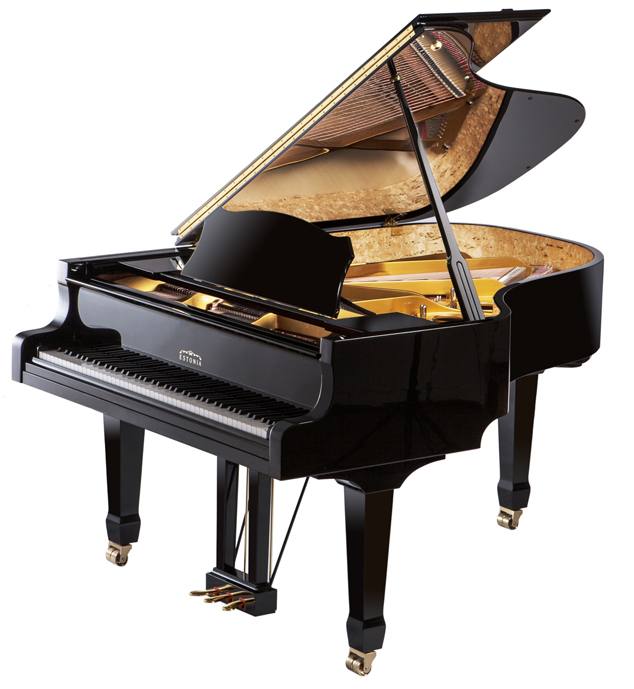 The Model 225 is a an ideal choice for pianists, teachers and musicians for professional concert venues, recordings and performances.